While I understand where people are coming from when they say that there is no official Mormon “doctrine,” I must disagree. Things like the physical nature of God, our being his literal children, salvation being through the atonement of Jesus Christ, and many other things are clearly official tenets of doctrine in the LDS Church. What frustrates people, and makes them think that no such “official” doctrine exists is the lack of an official, systematic theology that ties all of those doctrines together. 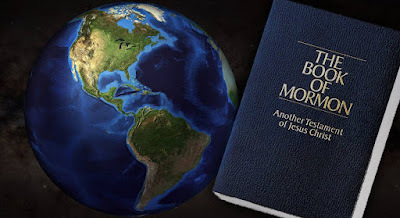 The result is every individual member (including the General Authorities) develops there own “personal” theology; that is to say, everyone has there own way of explaining how all those loose doctrines of Mormonism come together. Some people’s “theologies” are more coherent then others, but all (along with all theologies of other faiths) have there problems. I personally do not see this as problematic for Mormonism because the “truth” of something is not dependent upon our ability to understand it or reconcile it with other perceived “truths.” Furthermore, anyone who accepts the claims of religion accepts that some claims must be accepted on faith, despite apparent logical or rational difficulties. The theologies of popular Mormon teachers and thinkers, such as Joseph Smith, or Bruce R. McConkie, have helped form what could be called “mainstream” LDS “theology,” put the popularity of these “theologies” does not make them “official.” Unfortunately, most members have difficulty making this distinction, both in their own ideas, or in the ideas of others (especially General Authorities). Thus, they tend to think that their understanding of the Gospel (their own "theology") is the official and "true doctrine," and anyone who has a different understanding of the Gospel therefore believes "false doctrine." Now, of course there are limits to when a person's different "theology" can be considered within the boundaries set by the official "doctrine" (for example, a Mormon couldn't deny the atonement of Jesus Christ and simply say that is their own "personal" understanding, or "theology" of the same Revealed Gospel). Precisely where these boundaries are in some areas maybe vaguely defined, eliciting further discussion, but I personally think that the "official doctrines," which are what must be incorporated into any version of "Mormon Theology" are quite clearly established in the standard works, official statements, and official publications such as Preach my Gospel and True to the Faith. While I can understand the frustration that non-LDS have, caused by the ambiguity of not having an “official theology,” personally find in this lack of official theology a humble admission that we simply cannot systemically reconcile or harmonize everything we believe as doctrine – simply because we don’t believe we have all the necessary information. We believe God ought to be free to impart further knowledge and instruction if he feels such is necessary, and a belief in continuing revelation is at odds with having a systemic theology. Additional information (whether revealed by God, or discovered by man) will always require one to make changes and adjustments to how they understand and reconcile other “truths” and bring all available information together. In sum, I believe a distinction between “doctrine” and “theology” ought to be made. “Doctrine” being things accepted as “true,” and “theology” being an intricate system that harmonizes and ties together those “doctrines.” The LDS Church does have official “doctrines” (that is, there are things the Church officially recognizes as “true”), but unlike on religious traditions, the Church does not provided its members with an official “theology” (that is, the Church does not provide a system for reconciling all its “doctrines”). This sort of “open theology,” if you will, is required by the Church’s stance on the possibility of additional revelation being given at any point in the present or future. I sort of take the position that the only thing a person needs to believe in order to be a Mormon are those things discussed in the baptismal interview. They are as simple as you can get. From there you can disagree with theologically on anything else. If the topics covered in a baptismal interview are our "official" doctrine, than this means the list of official doctrine is very, very small. I rather like that. Thanks for your thoughts James. That is probably a fairly sound assumption. However, I do think it is a little more complicated than that. Now I do not have my PMG handy right now, and I don't know the exact wording of baptismal interview questions, so correct me if I am wrong. If I recall correctly, the the questions ask about whether one believe's in God, and it may say something about Him being our Father, but I do not think it asks or says anything about God having a body of flesh and bones. SO technically a person to pass the interview WITHOUT believing or understanding that God has a body. That God has a tangible body, however, is explicitly taught in the Doctrine and Covenants, and is therefore "official" doctrine (and has been clearly taught as "official" doctrine since the 1830s). So I think we need a little more clarification than the baptismal interview questions. I do agree that the body of "official" doctrine is considerably small. I like to use the 42 principles found in the missionary lessons in PMG, for similar reasons as you do: these are things a person must be taught (and subsequently accept) to become a Mormon, so I consider it the extent body of "official" doctrine. Of course, in my posting I discuss the standard works and official statements because this is where the information in PMG is derived. I probably should also clarify, that the extant of "official statements" actual "officialness" on matters of doctrine I think should be limited to the declared topic and purpose of the statement. On the most basic level, a fundamental difference between any religion (e.g., Christianity or Hinduism) and any theology is that the former is a religion while the latter is a type of rational reflection on religion. This distinction is also fundamental between the LDS faith (based on revelation) and LDS theology. So the recommendation that Mormons interested in theological reflection can find a tool for that reflection in philosophy and theology must include the stipulation that philosophy and theology are rational reflections by which we attempt to understand revelation and are not necessarily revelation itself. For Mormons, revelation and theology are compatible, but revelation is more fundamental. One of the essential claims of Mormonism is that God's revelation is ongoing. Theology is our effort to explain revelation in contemporary, rational terms. Theology not only historically follows the development of religion, but, Mormons would also claim, is logically subsequent, is dependent on revelation, and will never exhaust revelation in explanation. Understood in this way, any LDS theological reflection would have to be "a" Mormon theology, and never "the" Mormon theology.